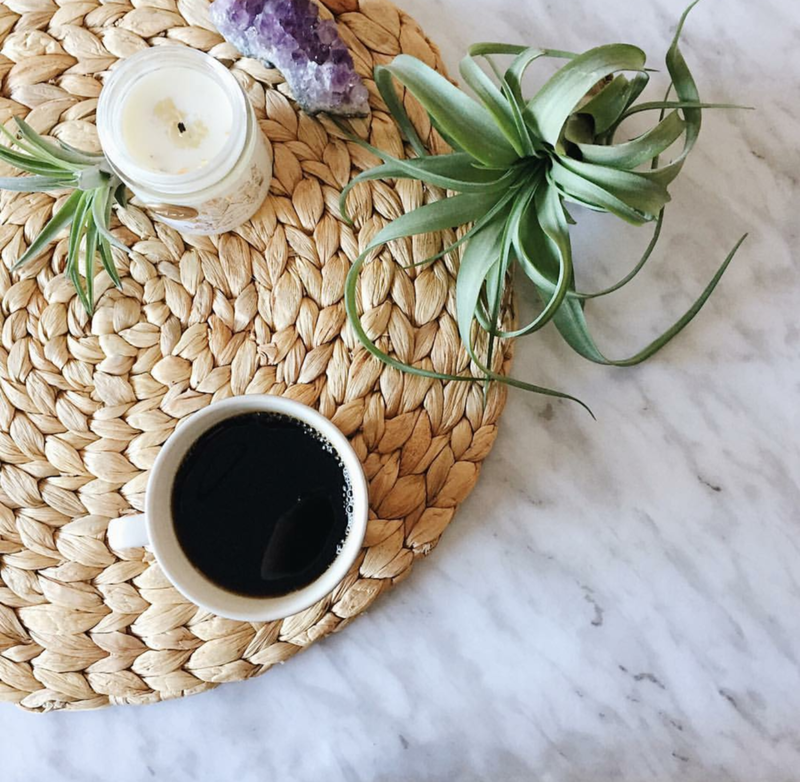 Beautiful photo courtesy of Needle and Pine featuring the fire element botanical candle. Recent events in my life coupled with this Capricorn new moon have made me re-examine how I want to serve, how I want to show up, and ultimately how I can embrace structure as a means to be supported. My word for 2018 is SUPPORT. It has manifested in ways for me that I never expected; through loss, through illness, through having to call for help, through releasing control, and through putting aside my ideas about how life should show up for me. Lately, it's as if the universe has sat me down and is giving me a stern talking to. I have been working hard... so hard over the past few years. After trying to build a sustainable and profitable business based on events, I realized that it couldn't be done. So, I refocused. I decided to dedicate myself to the product side of things, which proved more lucrative, but also required a large investment of my time and resources. And here I am once again, contemplating which way forward. How can I meld a bit of everything and be supported doing so? How can I fuel my inner fire and creativity while tending to my relationships and family in a sustained and steady fashion? What I have learned and know, is that the vision of the future looks nothing like what we currently see. And if we continue to strive to build something that is similar to the current constructs of our society, it won't hold up. For me, I am always contemplating what is TRULY sustainable. Can I do all that I enjoy and love as a sovereign and independent person? In my life, is it possible to trust and evolve without looking outside myself? Without comparison? Can I trust my inner compass and higher guidance? Will I succeed if I let go of the old ways and on a deeper level will I succeed in creating something that hasn't been seen before? It seems right now that I have no other choice but to try. I am being called to build something new, something I have never seen before. It takes immense energy to resist what isn't working. It takes bravery and vulnerability to show our humanness. I am being guided to trust, to allow, to receive, and to follow the signs that will lead me home. I don't have a card or a crystal for this new moon blog post and right now I am not sure if I will be continuing with card and crystal readings. Perhaps it's time for me to release some of the tools that I have relied on far too heavily. Maybe it's time that I show up naked, raw, and vulnerable. I think it's time for me to declare that what you read from me, is most often channeled. The mantras and blogs don't come from me, but THROUGH me. Ways that are divinely orchestrated to crack us open. That the seeds of a new paradigm take root.